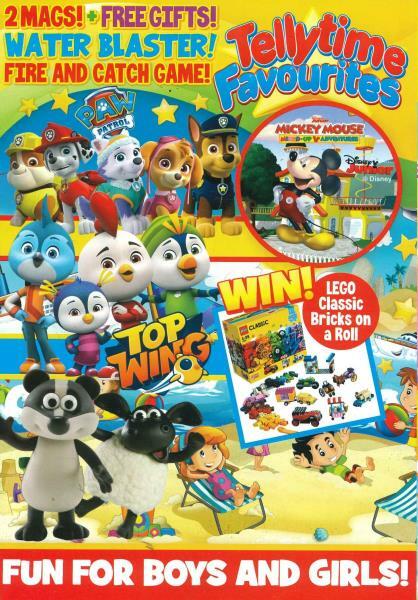 Tellytimes Favourites is the perfect children’s publication. Children will love this magazine that is geared to them. Children will love this magazine that is geared to them. Their favorite television characters like the well loved Curious George jump off the page at them. There are contests and games in this children’s cartoon magazine. Tellytimes Favourites are a UK publication that is published six times per year. It is decidedly British in its charm and offers hours of fun for any young child. A subscription provides your child or grandchild with all kinds of fun activities in a cartoon format. Kids are love cartoons and Tellytimes Favourites build on that and give another dimension to the favorite characters they see and love on the telly. Whether your kids love super-heroes or teddy bears or robots, they will find a television character they can relate to in Tellytimes Favourites. A subscription to the magazine makes the perfect birthday or holiday gift that a child can enjoy all year. As a parent or grandparent, you will know that the child you give the subscription to will have hours of fun with the activities and cartoons in Tellytimes Favourites. Subscribe to Tellytimes Favourites for your children’s benefit, your grandchildren and for yourself as a parent or grandparent. Know that the subscription will bring kids joy, they will learn from the activities, the stories, contests and the cartoons. Subscribe today and make your kids happy.